HOUSTON (KTRK) -- Community relief efforts have been continuing since the recent flood in the Houston area and many of those efforts are from our youth. Jasmine "Jazz" Geyen is a junior at The Awty International School in Houston who founded "Hugs 4 Houston" by organizing a baby wipe, teddy bear and diaper drive two days after the flood hit. Her motto is, "Everyone Needs a Hug." With support from her friends and family Geyen held her first drive on April 30 and the second one on May 7. Her efforts targeted children in the Houston Greenspoint flood area, one of the communities that were hit worst by the flood. 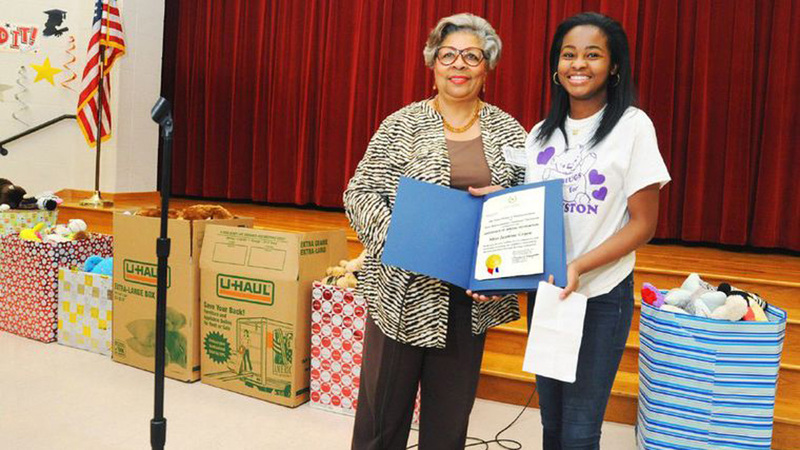 This story comes to us through a partnership with The Cypress Creek Mirror.